Students plan to gather for moments of silence honoring the victims at Columbine and other shootings. HOUSTON -- Another wave of student walkouts disrupted classes Friday at hundreds of schools across the U.S. as young activists press for tougher gun laws. In Houston, Air 11 was overhead as some campuses participated in the walkouts, including Northbrook High School in Spring Branch ISD. 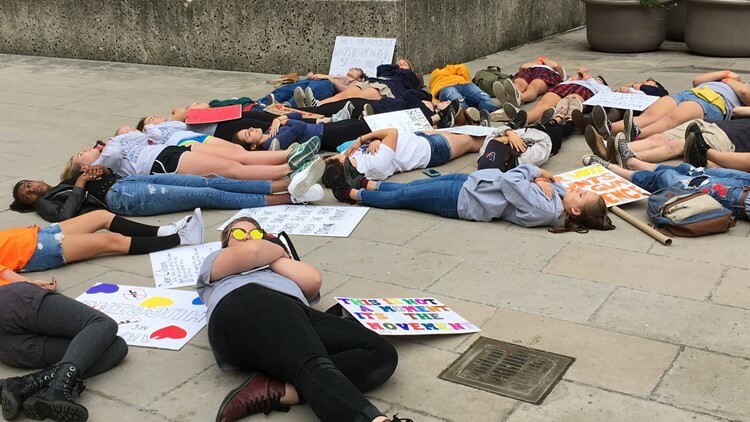 Some parents at other campuses complained their children were forced outdoors to take part in the protest, with school administrators saying it was raising awareness of people who feel isolated or lonely. At some Houston schools, kids were marching to City Hall in downtown for an 11 a.m. rally. The protests were chosen to line up with the 19th anniversary of the Columbine High School shooting, which left 13 people dead in Littleton, Colorado. 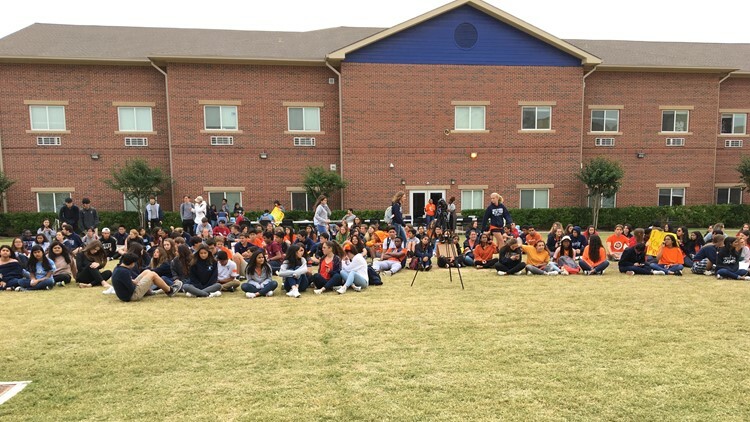 At 10 a.m., students gathered for moments of silence honoring the victims at Columbine and other shootings.From there, some students headed to rallies at their statehouses. Others stayed at school to discuss gun violence. Some held voting registration drives. Another wave of student walkouts disrupted classes Friday at hundreds of schools across the U.S. as young activists press for tougher gun laws, including those at The Village School. Organizers say there will be walkouts in every state, with more than 2,600 registered on the event's website as of Thursday. Citywide protests are expected to attract thousands in New York City and Austin, Texas. Police in Richmond, Virginia expected at least 10,000 at the state Capitol.